Graphene-Info was established in 2009 to provide services and resources for the global graphene industry. It is the world's most popular graphene publication with tens of thousands of monthly readers and over 18,000 newsletter subscribers. Graphene-Info offers several graphene information services and resources for professionals and consumers alike. 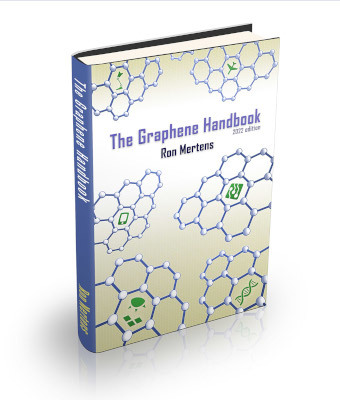 The Graphene Handbook is a comprehensive guide to graphene technology, industry and market, written by Ron Mertens (Graphene-Info's owner and editor-in-chief since 2009). The Graphene Handbook is the best way to quickly get in-depth graphene knowledge and become a graphene expert. The last edition was released in April 2019. 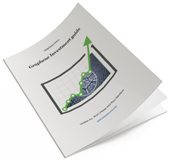 Graphene-Info provides comprehensive niche graphene market reports. Our reports cover everything you need to know about the niche market, and can be useful if you want to understand how the graphene industry works and what this technology can provide for your own industry. The reports also contain personal contact details for the companies involves in the market. All our market reports were last updated on October 2018. The report package provides a good introduction to the graphene batteries market - present and future. It details both flexible displays and lighting technologies. The Graphene Catalog is a revolutionary graphene materials directory that lists graphene materials available on the market, divided into categories. The catalog is a free resource that includes graphene sheets, flakes, graphene oxide, graphene inks and more.